The Teamsters Union was a force long before the invention of the trucks that the union is associated with today. 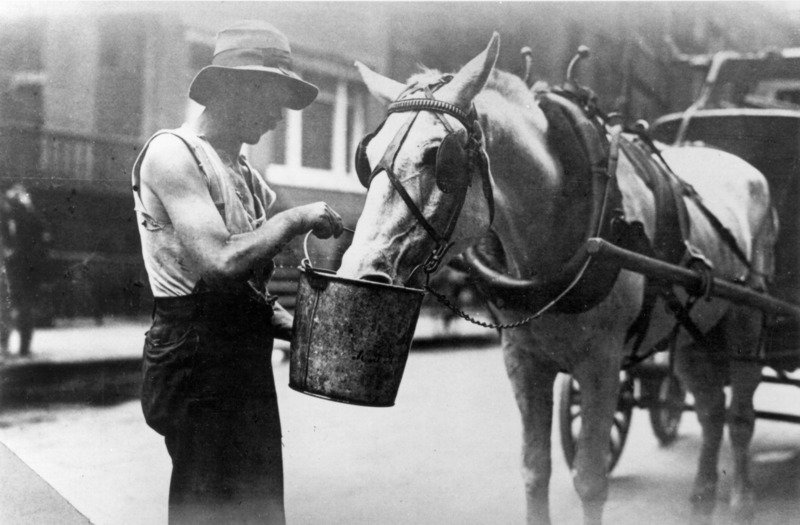 Prior to the automobile, a “teamster” drove a horse-drawn wagon, transporting and delivering goods to businesses and households. The turn-of-the-century teamster worked long hours – as much as 18 hours a day, seven days a week – for low pay. 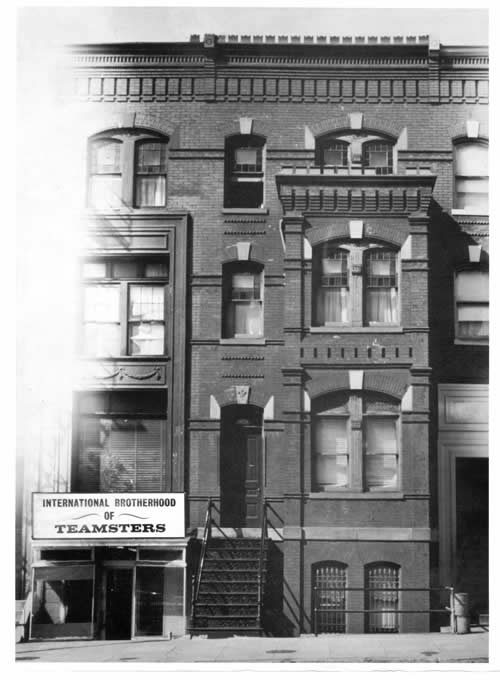 New York City Teamsters began organizing in the early 1900s, joining with fellow workers across the country to form the International Brotherhood of Teamsters in 1903. Under the leadership of early leaders like Dan Tobin at the International Brotherhood of Teamsters and Mike Cashel in New York, the union grew rapidly, representing all form of wagon drivers and emerging motor truck drivers. As the union built power, it put it to use raising standards for transportation workers. In 1938, a city-wide truckers strike brought New York to a standstill. Drivers were fighting for a 40 hour workweek and a higher hourly wage. Teamster organizing expanded into other industries, bringing warehouse workers, manufacturing workers, public sector workers, and many other into the union. In 1948, 1,000 Macy’s warehouse workers voted to join Teamsters Local 804. In 1951, workers at the City’s Department of Sanitation joined the Teamsters and formed Teamsters Local 831, the Uniformed Sanitationmen’s Association. In 1957, James R. “Jimmy” Hoffa was elected general president of the International Brotherhood of Teamsters, making the national union America’s largest and most powerful union. Under Hoffa’s leadership, the Teamsters negotiated the legendary National Master Freight Agreement in 1964. That single contract covered 400,000 over-the-road drivers across the country and turned trucking into a middle-class job. By 1960, there were 165,000 Teamsters in New York’s Joint Council 16, and 61 Teamster locals within the joint council. Nationally under Hoffa’s leadership, the Teamsters represented more than 2 million workers. In 1971, the Teamsters showed their power and solidarity by joining a city-wide strike of public sector workers. Teamsters Local 237 bridge operators raised and locked bridge crossings to compel state legislators to act on a pension agreement that had been collectively bargained with the City. New York Teamsters have also used their power to support other progressive causes and social movements. Teamsters sent trucks, supplies, money, and boots-on-the-ground to support civil rights organizing in the South. In recent years, Teamsters in New York have built strong alliances with community and environmental justice organizations to raise labor standards and address other injustices. In 2014, after years of Teamster advocacy, the governor signed legislation to end the misclassification of commercial drivers, which will stop the unfair use of underpaid and exploited independent contractors in the trucking industry. Today’s Joint Council 16 represents workers in a wide range of industries that reflect our historic growth. Our members still include horse carriage drivers – those who ferry tourists around scenic Central Park. Beyond truck drivers, the Teamsters represent public housing workers, airline staff, newspaper printers, film industry workers, manufacturers, and construction workers – and workers in many industries beyond. For More Than A Century, The Teamsters Union Has Helped Millions Of Workers Achieve The American Dream. Our Success Is A Testament To Those Who Came Before Us, Who Stood Together To Form A Union And A Labor Movement. These Workers Fought For The Rights And Privileges That Today Most Americans Take For Granted. Without The Solidarity Of Unions, There Would Be No Weekends, No Pensions And No Health Insurance. The Best Way To Celebrate Teamster History Is To Highlight The Actions And Events That Improved Working And Living Standards For American Families And Communities. Want to form a Union in your workplace? Take the first step and call our office to arrange a confidential meeting with one of our experienced organizers at (626) 732-4700.